With the aim of reducing IEC 62443-4-2 user certification time by up to six months, Renesas Electronics has collaborated with Civil Infrastructure Platform Security Working Group in Linux Foundation to release a security option based on its RZ/G Linux platform. 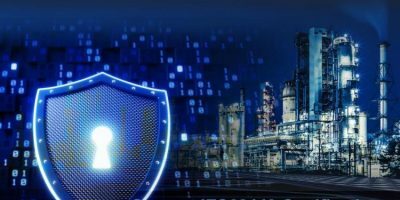 According to the company, it will reduce the amount of time required for users to obtain certification under IEC 62443-4-2, the international standard for security technologies used to protect industrial control systems from cyber attacks. Such cyberattacks on industrial control systems’ infrastructure, such as manufacturing plants and power stations are a serious threat which promoted the establishment of the IEC 62443 international security standard covering industrial control system operators, system integrators and equipment suppliers as well as enterprises and organisations involved in industry and public infrastructure. Within the standard, endpoint devices (sensors and programmable logic controllers – or PLCs) must be certified under IEC 62443-4. To help developers overcome the certification challenges, the Renesas RZ/G Linux Platform security solution, together with the activities in Civil Infrastructure Platform (CIPTM) project, will enable users to reduce the time required for obtaining IEC 62443-4-2 certification by as much as six months. Renesas supports embedded Linux devices in the industrial field with the RZ/G Linux platform which combines an RZ/G microprocessor and a verified Linux package with long-term support. The security solution will include all the software and documentation necessary for obtaining IEC 62443-4-2 certification, confirms Renesas. It provides an optimal development environment for products employing the RZ/G Linux Platform. The new IEC 62443-4-2-compliant security solution is scheduled to be available by the end of 2019, starting with the RZ/G2M microprocessor, with solutions for other RZ/G2 MPUs to follow.